On the 10th (Fri), don't miss a visit to Brsalje Street. Keep things going the next day: enjoy breathtaking views from Gornji Ugao Tower, stroll through Sveti Jakov Beach, then steep yourself in history at Vlaho Bukovac House, and finally pause for some serene contemplation at Church of St Nicholas. To see reviews, ratings, photos, and other tourist information, read our Dubrovnik itinerary maker. Montpellier, France to Dubrovnik is an approximately 7.5-hour combination of shuttle, flight, and train. You can also drive; or do a combination of bus and train. 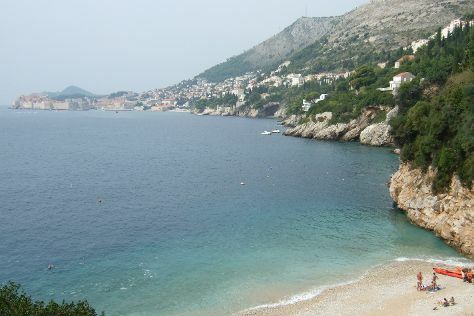 In November in Dubrovnik, expect temperatures between 20°C during the day and 11°C at night. Finish your sightseeing early on the 12th (Sun) to allow enough time to travel back home.